In November, we announced that Imagineer Joe Rohde would be honored by the Themed Entertainment Association with its Buzz Price Thea Award Recognizing a Career of Distinguished Achievements, and on March 17, 2012, Joe received his award during the Thea Awards ceremony at the Disneyland Hotel. I recently had the opportunity to chat with Joe about the award and his career at Walt Disney Imagineering – which has included such enormous projects as Disney’s Animal Kingdom Theme Park; Expedition Everest; Aulani, a Disney Resort & Spa; and the upcoming AVATAR project at Walt Disney World Resort. What does receiving the Buzz Price Thea Award Recognizing a Career of Distinguished Achievements mean to you, coming from your peers in the industry who make up the Themed Entertainment Association? It’s a great honor to look at my list of achievements and to be counted among people who have done so much more than I have – it’s really an honor. Looking back on your career, what has been the most exciting project you’ve worked on, and what has been your biggest challenge? When I first saw the Disney’s Animal Kingdom site, I was truly terrified. Disney’s Animal Kingdom was unexplored country – we were doing lots of things that had never been done before. It’s hard not to see getting Disney’s Animal Kingdom built as a challenge. Attempting to do so many things all in one project – it was challenging and a growth experience. We were truly learning as we were doing. With Aulani, I knew there was more to Hawai`i that many visitors don’t realize, and I knew Disney had a great opportunity to tell that story. You’re known for your love of storytelling and attention to detail. You’ve visited many places all over the world for research – which have been your favorites? Are there places you’d still like to visit? I love the Himalayas, and I’ve spent a lot of time there. When we were doing research for Expedition Everest, we visited places few people have been before. Where I’d like to go…I have to go camel trekking in Mongolia and I want to go to Papua New Guinea. 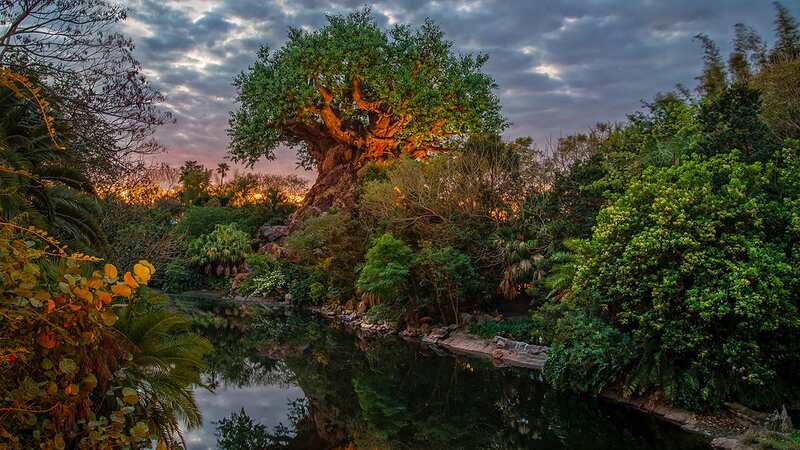 When I think about the AVATAR story and Disney’s Animal Kingdom, I see the value systems that underlie both. We have the opportunity to tell that story in a way that will make the AVATAR experience feel like a natural part of Disney’s Animal Kingdom. All of us who are designers have an opportunity to take the work we are given and make it something unexpected. That’s how we help the company to grow and expand into new areas. Please join me in congratulating Joe on receiving the Buzz Price Thea Award Recognizing a Career of Distinguished Achievements! Congrats! I love Mr. Rohde’s work. Congratulations Joe! My family and I had the opportunity to meet and talk with him at Animal Kingdom Lodge in May 2010. He is every bit the storyteller in person as he is in his Park projects. We’re looking forward to many more years of seeing his work! So I’ve seen another copy of this interview (and I trust this source first) but the other site had Joe Rohde mention something about a new Tomorrowland (which is needed). Is this true? Congrats Mr. Rohde! I am so happy you are receiving this award for all the work you have done! It is a great honor. I can’t wait for the future work you do, we love your work! Congrats, Joe! I remember the first time I saw or heard of you was when I was a kid. I had a Disney Channel show about WDW taped and must have watched it 100 times. I’m thinking it must have been in 1987 or so because WDI was still planning Norway at World Showcase, and Joe was being interviewed because he was designing what you described as the “prow for the ride vehicle”. Quite a career! Congrats again! Kungaloosh and congratulations Joe! I hope when you finally make it to Papua New Guinea that you get there in time for the annual Yam Festival, the Yamboree! My good friend Fletcher has been and say that it is a blast! Good luck in your future endeavors! Joe absolutely deserves recognition for his contributions as an imagineer! On my first Disney World trip, the first ride I went on was Expedition Everest. It was AMAZING! I am so glad to hear Joe got this award from Disney. He is a great imagineer and a wonderful public speaker. I remember back when Joe was part of the team presenting the ideas for a shopping/entertainment project in Downtown Burbank. They broadcast it over the cable access channel and, as a kid, I recall thinking how awesome it would be to be an imagineer. That project never got built (though some parts made it into other projects) but obviously Joe has made a name for himself and come a long way. 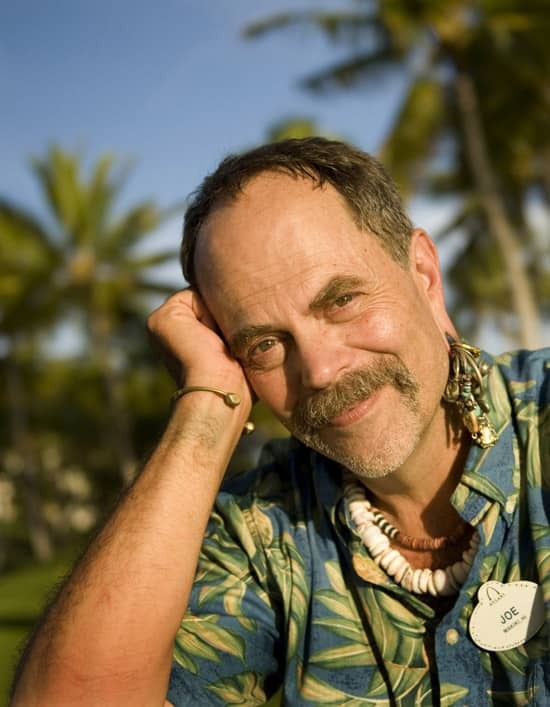 Can’t wait to go to Aulani this summer and see all the loving details Joe and all the team have put into that place. I am very happy that Joe won this award. I am looking forward to the day that Joe becomes a Disney Legend. Congratulation Joe, sounds like you’ve had a fulfilling career full of wonderful unexpected challenges. I’ve grown up seeing you in many imagineering specials and have always looked up to you.